during the liturgy; it will be at St. Peter Cathedral in Erie June 6. ERIE — The Chancery of the Diocese of Erie has announced the diocese will have the honor of hosting a significant relic — the heart of St. John Vianney, patron of parish priests — June 6 at St. Peter Cathedral, W. 10th and Sassafras streets. Parishes and schools are encouraged to publicize this special event and consider organizing a pilgrimage. More information will be available soon. 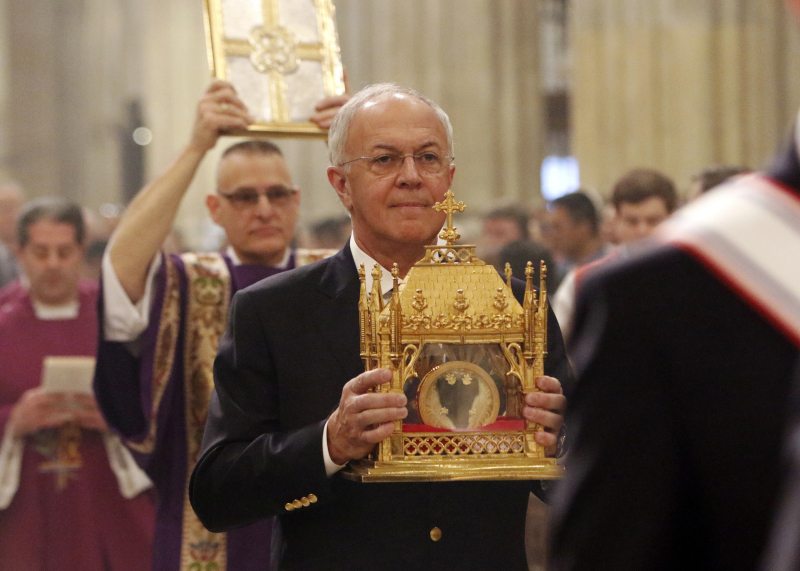 The Shrine of Ars, France, has entrusted the relic of the saint's incorrupt heart to the Knights of Columbus for a national tour in the U.S. Erie will be one of the last stops on the tour. For information on the national tour, please visit https://www.kofc.org/en/events/vianney.html#/.